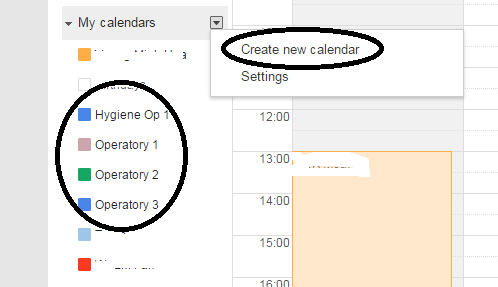 In order to sync OpenDental appointments to Google Calendar, you need to create one calendar for each non-hidden operatory that is shown in your Appointment Module, operatories that are also in the"Operatories list" below (Setup/Apointments/Operatories menu). Since Google Calendar API is using extra DLLs library, we need to change “OpenDental configure file” to enable Google APIs. The a sample configure file in the plugin folder for download. Notepad must be " run as administrator", this file needs Administrator privilege to save. Find <runtime> element. It should be at the end of the file. Add the following xml content into <runtime> element. IMPORTANT: do not copy this text from PDF document which might be corrupted your setting file because of PDF character format. Download from this website or type the config manually. · sync.auto.anychange: this specifies whether any change to the appointment will automatically sync to Google Calendar; including add new, delete, update, move, etc... . Value "0 " is do not sync and "1" is sync automatically. This feature may cause a tiny delay when you make any appointment changes. Currently, it’s implemented but not used. Hooks need to be added to OpenDental first. · sync.auto.frequency.minute: this specifies the frequency of the auto-sync. For example, the default value is "30" which means the sync is triggered every 30 minutes automatically. · sync.interval.day: this specifies how many days from today, the appointments are synced. For example, the default value is "30" which means the appointments between today and the next 30 days will be automatically synced to Google Calendar. The setting shown in the screenshot above specifies that every 30 minutes, all appointments between today and the next 30 days will be synced to Google Calendar. NOTE: to test the auto sync, you can change the frequency to 1 minute instead of 30 minutes. 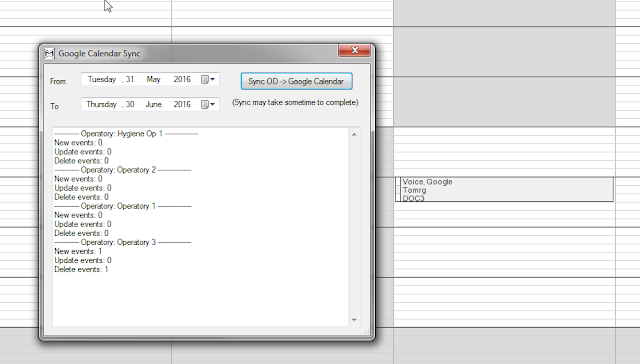 When you click the plugin button "gcSync" in OD main menu, a pop-up dialog will appear and will ask you to enter the time period that you want to sync with Google Calendar. Here you can modify the default preset value ( sync.interval.day) from 30 days to any time period that you need. Click “Sync OD -> Google” button to sync appointments. Be sure that no other Google account is open in the background or in a different browser. Sign out of all your Google accounts if you have few ones open. Once you have completed the OpenDental and Google Calendar settings, now you need to authorize the plugin to access your Google Calendar. When you log out and log in to OpenDental, automatically the plugin will open your internet browser and bring you to your Google account login page. Login to your Google account and enter the correct username and password of the Google account that has the correct calendars created in it. The Google calendar settings will ask for permission to "Allow" access. Once the access is granted, the plugin now can sync OpenDental appointments with Google Calendar. 5 How to change to another Google Calendar account. This will be used to access your selected Google Account so that you do not need to enter your Google username and password each time you are running the plug-in. If at any time you decide you want to use another Google Account, i.e. 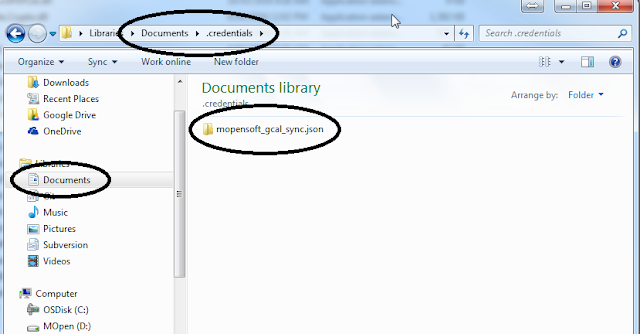 setup a new clinic calendar, you just need to delete the “mopensoft_gcal_sync.json” folder. Once deleted, and the next time you run OpenDental, you will be asked to login to the new Google Account that you are switching to, and you will enter the new username and password. Hey, guys. I'm struggling a bit with this. I'm running OD 16.3.42, and have followed the instructions given. I created and appropriately named the Google calendars. I edited the config file as instructed (using your dropbox template). I've copied the zipped dll files into the Open Dental folder overwriting the files there (was this correct?). I've moved the mopensoft.plugins.apptsync.dll file into the program folder. I've also gone through the program link. Error loading: plugin: mopensoft.odplugins.apptsync.dll Exception has been thrown by the target of an invocation. When I press the gcSync button from the appointments menu nothing happens. Do you have any idea what I could be doing wrong? I think it could be the required dlls have updated to new version. 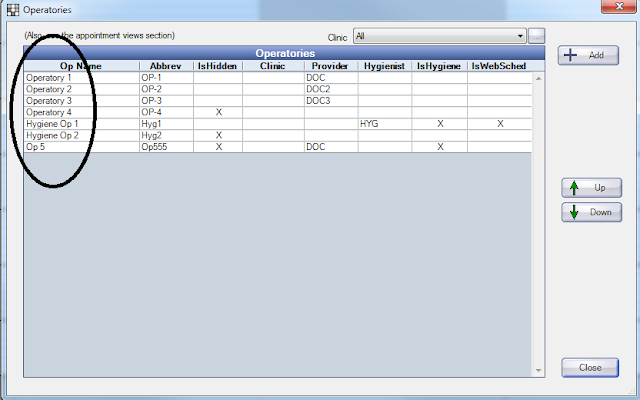 I'm positive that my compiled OD 16.3.40 which include the plugin and its dlls worked. Can you get the OD binaries from my Dropbox and give it a try. Hi, I got this working but I had lots of trouble with copy/pasting the config file. Firstly I already had an entry to NewtonSoft so my 'before' didn't look like the example. Then every time I made changes, OpenDental wouldn't load. I got it working by copy/pasting my working NewtonSoft entry and changing the contents to match those on the website one field at a time. Also I did not have an 'all modules' option, so I added it to the menu bar instead. There's a few changes in OD recently that changes configuration file. Please do not copy/paste configure changes from the webpage, there's a sample configuration file in the download folder. Some screenshots are out-of-date now, ie. AllModule options which replaced by the selection of all modules in the list. If you need further assistance, please contact me and provide your OD version. This is an amazing blog post. 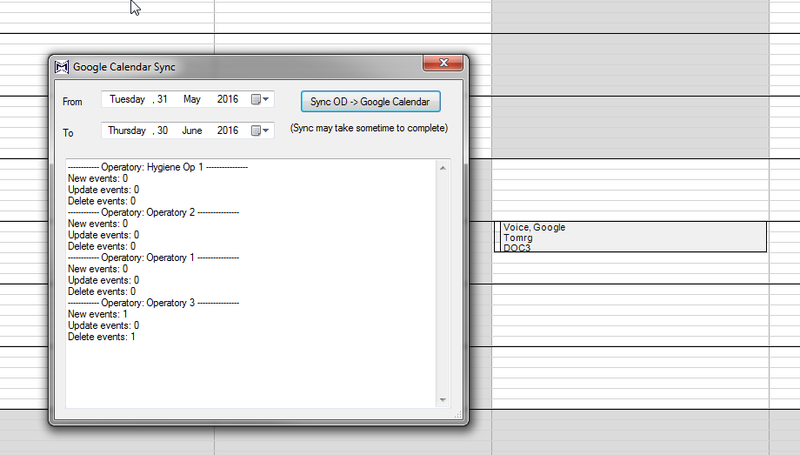 This blog post has actually taught me to make a calendar plug-in. And indeed, this has made our life at Tracy Arch Dental very easier. And moreover, it helped us to be more organized. best blog and best thing being made! Amazing! We at Tracy Arch Dental always wanted to do something and wanted to have something like this! Thank god! Great instructions. Hoping to sync it with google and use yocale to get online bookings. Also, I am getting wordpress plugin on my website (www.hudsondentalcenter.com) that can sync with google and allows patients to book online from my portal.